Massapequa, New York, USA. August 5, 2018. 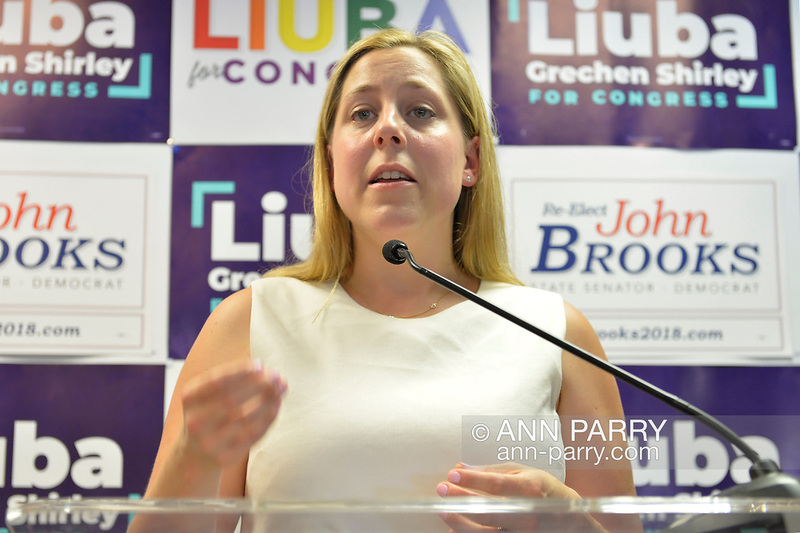 LIUBA GRECHEN SHIRLEY, Congressional candidate for NY 2nd District, speaks at podium at opening of joint campaign office for her and NY Senator John Brooks, aiming for a Democratic Blue Wave in November midterm elections.